Time for some Texas-style diner comfort food. 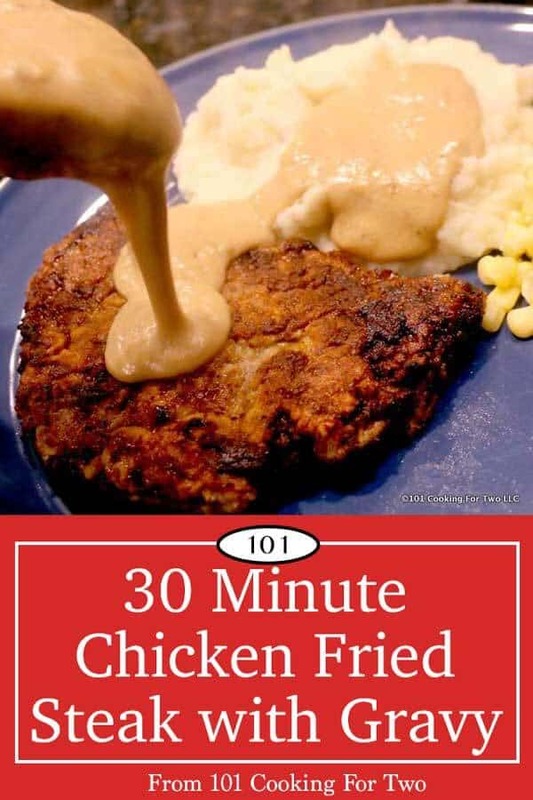 Chicken fried steak with gravy can be yours in 30 minutes with these quick and easy step by step photo instructions. 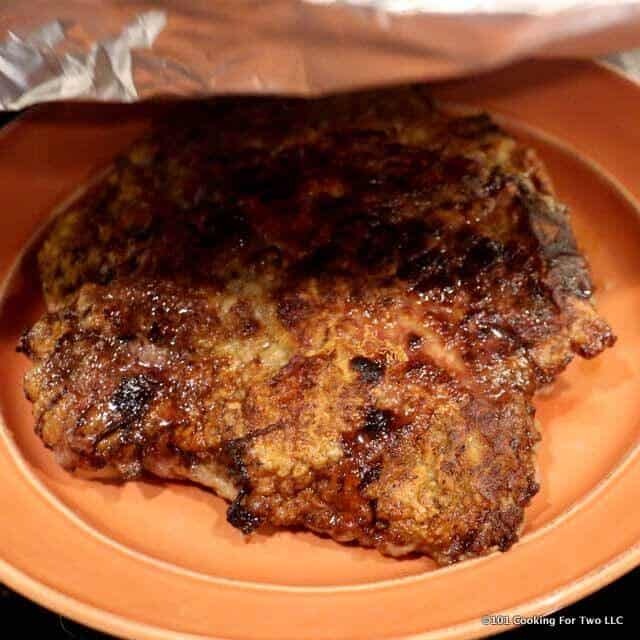 I have done chicken fried steak before for this blog, but it was a bigger recipe and too complicated. As they say, I was trying to make my point the hard way. I truly fried it and made a mess in the kitchen. It was very good, but a complete overhaul was in order. See it at https://www.101cookingfortwo.com/chicken-fried-steak-texas-comfort-food/. It is time for an easier, weeknight version that you can scale to your needs. My inspiration recipe is the Pioneer Woman version of Chicken Fried Steak. It was for 6 and needed a cut-down and a little streamlining. It also needed some additional garlic, and I popped up the milk gravy a bit with some extra beef flavor — excellent comfort food. It is called chicken fried because it is a steak that is fried like chicken and has a coating that is like fried chicken. So chicken fried steak makes sense, but chicken fried chicken is double talk. 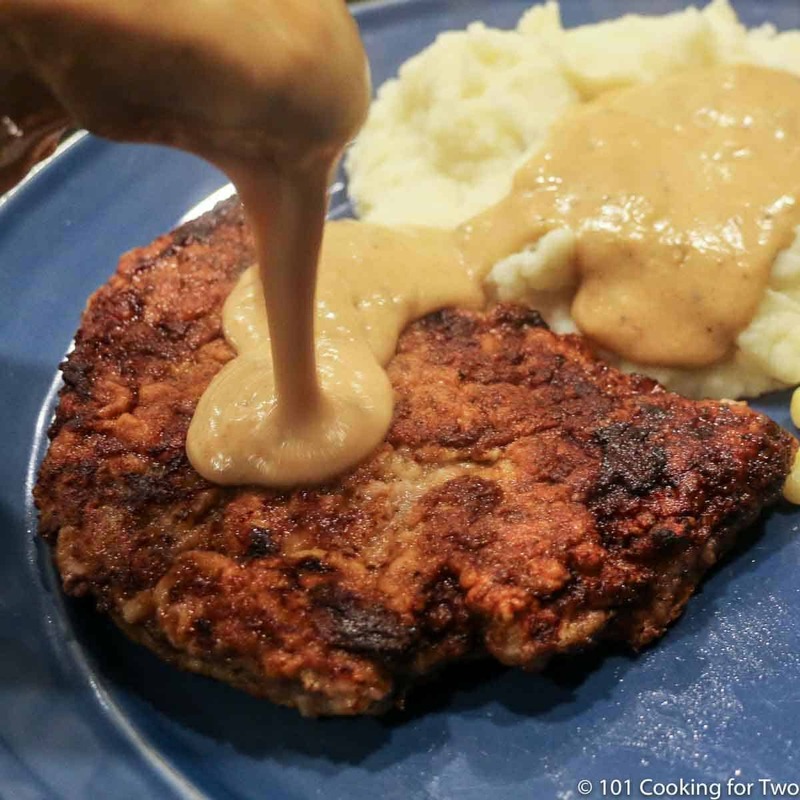 One of the main features of classic diner chicken fried steak is a milk-based tasty gravy. 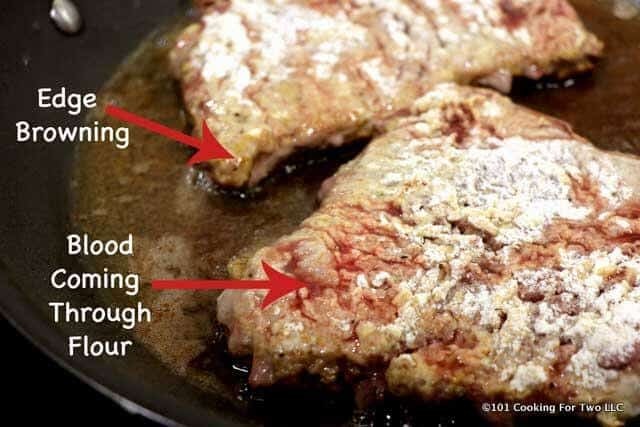 It is usually spiced like the steak, so we just use the flour from coating the steak and the oil from the frying. And it usually is peppered up a bit for more taste. So What Is Cube Steak? The name “cube” refers to the shape of the indentations left by the mechanical tenderizer used to make the steak tender. Cube steak is usually made from top round or top sirloin but does not have to be a particular cut of beef. 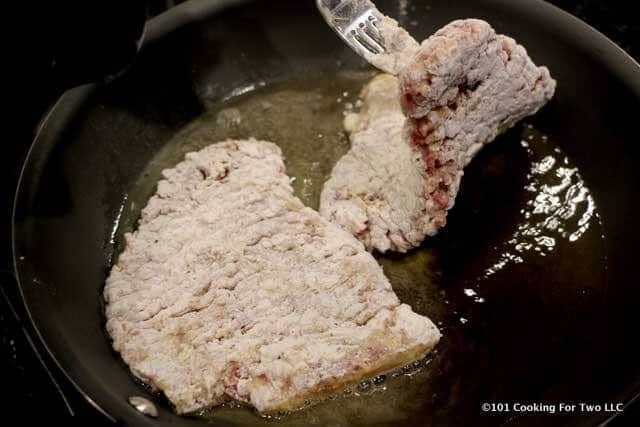 I’m cooking my one pound of cube steak in two large pieces. You can make 2-4 pieces at your option. In a larger fry pan, heat 4 tablespoons of vegetable oil over medium-high heat. Set up a breading line. 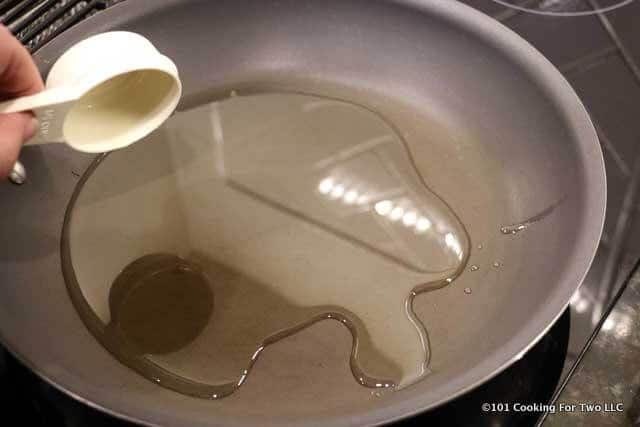 In pan #1, beat 1 egg with 1/2 cup of milk. In pan #2 add 3/4 cup with 1 teaspoon seasoning salt, 1/2 teaspoon paprika, 1/2 teaspoon garlic powder, and 1/2 teaspoon black pepper. Add a pinch of cayenne pepper if you want. Mix well. Coat cube streak in the flour mixture, shake off excess. Coat in egg mixture, shake off excess and one more coat of the flour mixture. Place on plate and repeat for next steak. By now the oil should be shimmering. 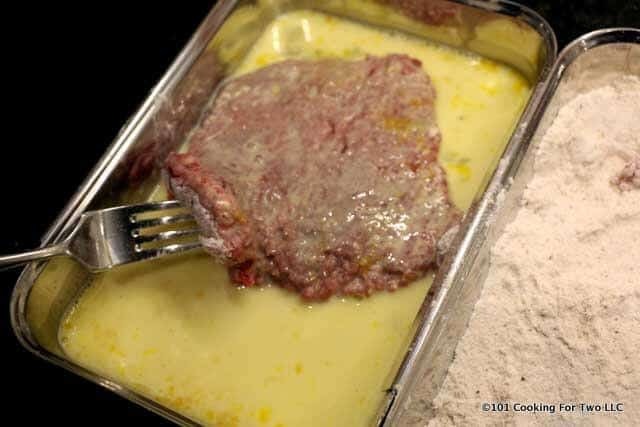 Using a fork, lay the steak into the oil. 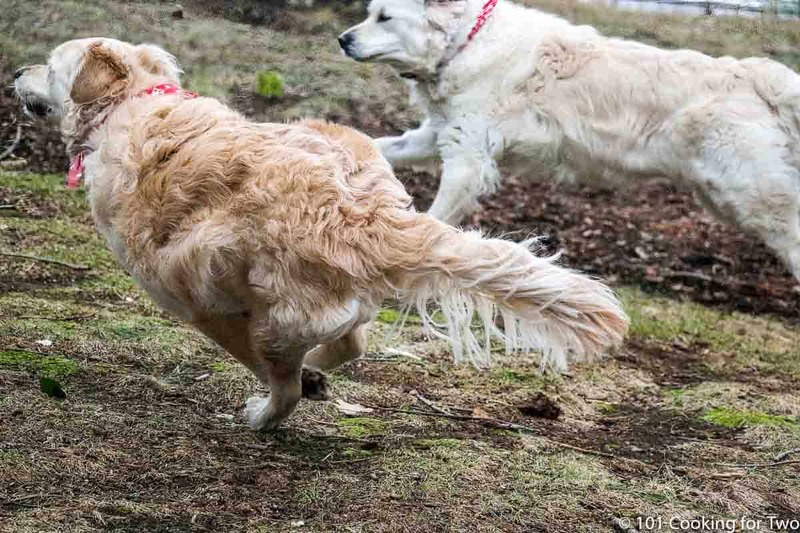 When the edges turn to gold, and it looks like some blood is coming through the flour (4-5 minutes), it is time for your only flip. Fry another 3-4 minutes. A final internal temperature of 145 – 150 degrees but go by the color also. Remove steaks to a clean plate and tent lightly with foil. Lower burner to medium. 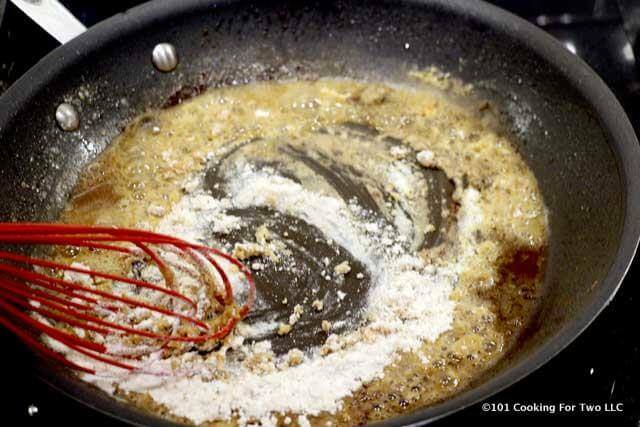 Add 4 tablespoons of the flour mixture from coating pan #2 to 4 tablespoons of the oil and drippings in pan. Whisk for a few minutes to cook the flour. Slowly add 2 cups of milk while continuing to whisk. It should start thickening in a few minutes. Add salt and pepper to taste. Also, you may want to add 1-2 beef bouillon cubes or the equivalent for a heavier beef taste. When the edges turn to gold, and it looks like some blood is coming through the flour (4-5 minutes), it is time for your only flip. Fry another 3-4 minutes. The final internal temperature of 145 - 150 degrees. but go by the color also. Lower burner to medium. 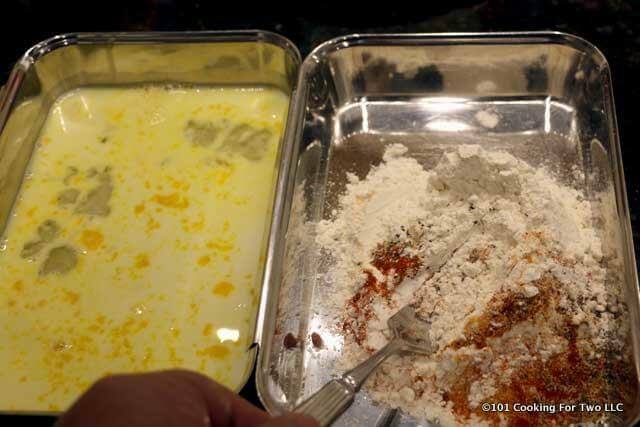 Add 4 tablespoons of the flour mixture from coating pan #2 to 4 tablespoons the oil and drippings in pan. Whisk for a few minutes to cook the flour. 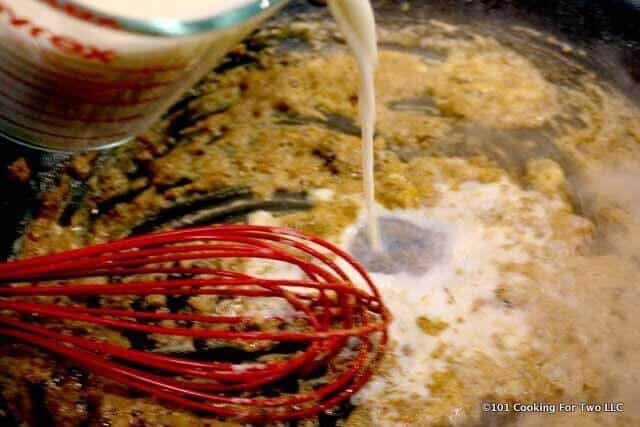 Slowly add 2 cups of milk while continuing to whisk. It should start thickening in a few minutes. Add salt and pepper to taste. Also, you may want to add 1-2 beef bouillon cubes or the equivalent for a heavier beef taste. 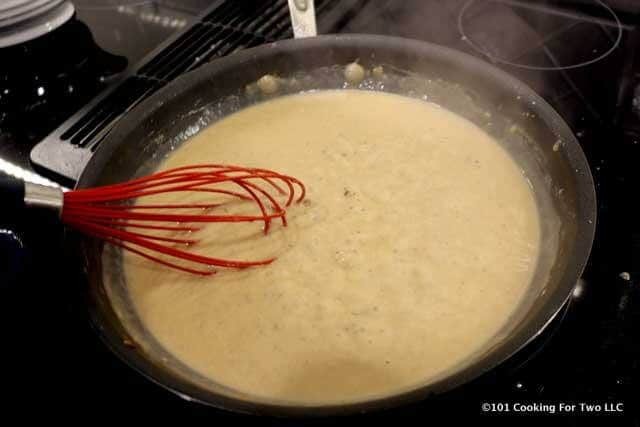 Use the flour that is already seasoned to make the roux. 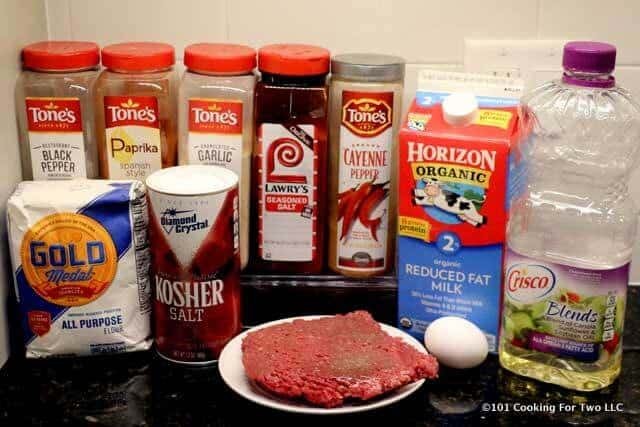 Use the oil used to fry the steak for the gravy. You need 4 tablespoons. The recipe does call for the optional addition of some beef bullion or beef gravy base to increase the beef taste in the milk gravy. Nutrition note. The nutrition is calculated using a LARGE 8 oz steak and you consuming half the gravy. More reasonable serving 1/4 to 1/3 of the total making the calories 300 or 400 calories. This was delicious! I’ve always had a difficult time with milk gravy, either to thick or to thin… this was perfect with just the right amount of seasonings. The husband and I give this a strong 5 stars, thank you for sharing! Thanks for the note. I have a more detailed post on how to make gravy at home https://www.101cookingfortwo.com/how-to-make-gravy-101/ that may be useful.